On tonight’s Ear to the Ground, migrant workers in agriculture, a local abattoir and a farmer farming on two sides of the Comeragh Mountains all feature. The agricultural and food industries are major employers of immigrants who are often considered to be lowly and unfairly paid. Ear to the Ground’s Darragh McCullough employs a number of migrant workers at his daffodil growing enterprise on Elmgrove Farm and strongly promotes equal rights. Grainne O’Toole of the Migrant Rights Centre visits the farm to discuss working options in Ireland. Ella McSweeney goes to east Galway where a small farmer has built his own abattoir. There was once a time where every town and village had its own abattoir. However, today the meat industry is dominated by larger export-oriented processing plants and livestock must be transported long distances for slaughter. Ronan Byrne has bucked the trend by building his own abattoir, but the challenges were there in the form of strict food safety standards and a need for heavy investment. 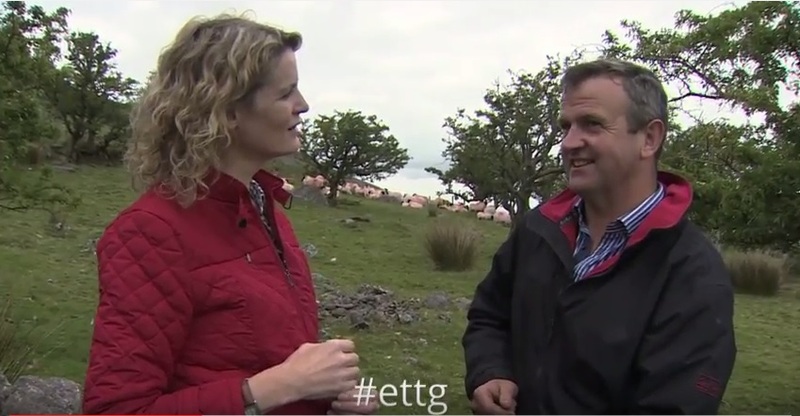 Ear to the Ground finds out if the regulations are too strict, or if there is a way that local abattoirs can survive. Helen Carroll visits Waterford man, William Drohan, who splits his days between dairy farming on one side of the Comeragh Mountains at Mahon Falls and sheep farming on the other side at Rathgormack. The methods of farming passed down over six generations haven’t changed much, but Willie wanted to do something different. So, tired of sending his high-quality lamb to meat factories, Willie decided to branch out and sell his lamb independently. During the summer, Helen spent a day with Willie on the Comeragh mountains for Ear to the Ground to find out just what makes his meat so special.